A whole new world (again! )—a live-action remake of Aladdin is in development. According to Deadline, British director Guy Ritchie (Lock, Stock and Two Smoking Barrels, Sherlock Holmes) is in negotiation to helm the Disney remake, which has been penned by Big Fish's John August. The news comes as Disney fans eagerly await the March 2017 release of the live-action Beauty and the Beast, starring Emma Watson, Dan Stevens and Emma Thompson. Other re-imagined classics in the works include The Lion King and The Little Mermaid, plus Hamilton mastermind Lin-Manuel Miranda will soon start filming Mary Poppins Returns, the sequel to the 1964 movie. 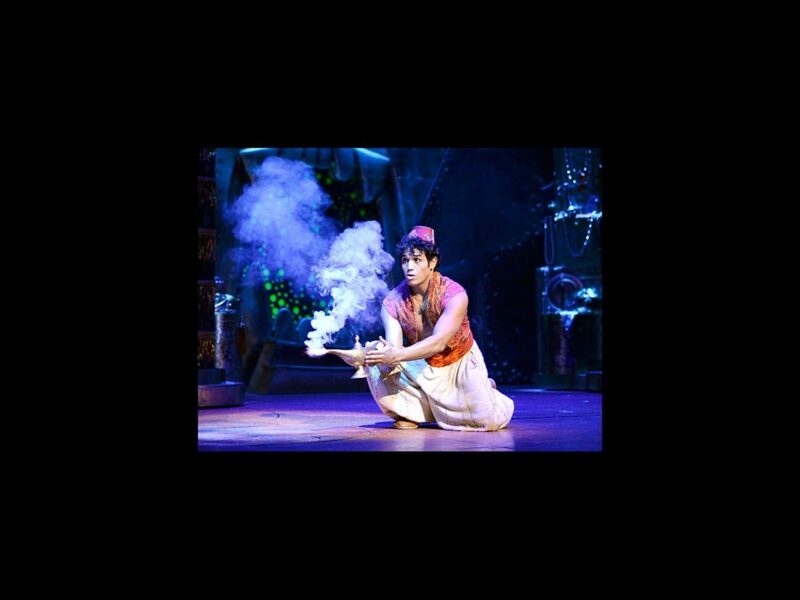 Directed and choreographed by Casey Nicholaw, a hit stage adaptation is currently playing at Broadway's New Amsterdam Theatre, starring Adam Jacobs as Aladdin, Courtney Reed as Jasmine, James Monroe Iglehart as the Genie and Jonathan Freeman as Jafar. Adapted from the 1992 Disney animated film, which starred Robin Williams as the Genie, Aladdin is the story of a street urchin who uses the help of a magic Genie to win the heart of Princess Jasmine. The Main Stem musical features a book by Chad Beguelin, music by Oscar and Tony winner Alan Menken and lyrics by Tim Rice and the late Howard Ashman.